When it comes to our home I love looking up ideas on Pinterest to give me some ideas into what I can do to update the place. you can still update the place with different accessories, new or upcycled furniture and lighting. but also practical for your needs but also has a touch of individuality. its basics and function in a home. 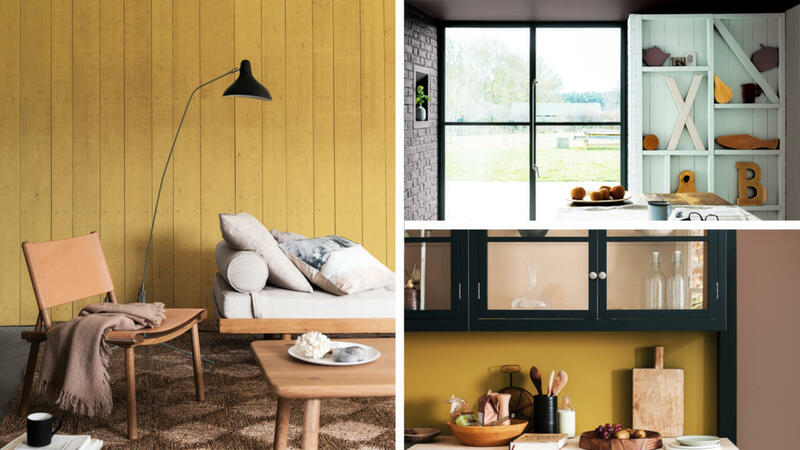 Baytree Interiors have shared with the trends that are going to be big in 2016.
with one bright feature wall creates a focal point drawing attention to the specific area of the room. Of course if you own your home you can choose to do this no problem. It's a good idea when doing this to choose colors that you love as it will be there for a long time. colors that will go no matter how the room is changed. Our living room has pine colors and the bedrooms have white furniture. Mixing colors is on trend this year with people upcycling instead of buying new. This is because people are wanting to create focal points throughout their home. For bedrooms the Nior french theme is in which is a trend I really love. update the room more into this trend. There is also a trend on both antique and modern furniture pieces slotting nicely into the same room and is something a bit different. This isn't a trend I'll be getting into as I tend to be quite fussy and like furniture to near enough match. Changing furniture is one of the easiest ways to update your home. 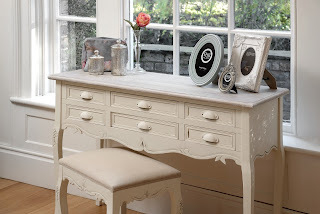 Up cycling gives you the chance to update the furniture you have with little cost. This can be done with a range of paints and accessories such as door knobs for your wardrobe. Lighting is important as it a simple but effective way to change the ambiance of a room. Pendant lights, chandeliers, and filament bulbs are a great choice which provide a warm glow with a vintage look. I love the idea of this type of lighting for our living room however our ceilings are quite low so not something we could implement which is shame as it could fit in well with Nior theme in the bedroom as well. LED lighting will also be seen in more homes thanks to it becoming more creative and cheaper. Mood lighting is also a trend that will popular with people moving away from more standard lights. This trend doesn't become as a surprise with me due to smart products starting to become the norm in households. With smart TV's, heating systems, being able to open and close your garage this way as well as to turn on and off your lights. 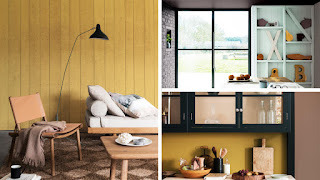 What are your thoughts on the new interior trends for 2016? Will be you updating your home with any of these trends? I'd love to know as always comment below. Some great ideas here, and I really should follow your lead by looking up more things on Pinterest. Just need to get some money together first!